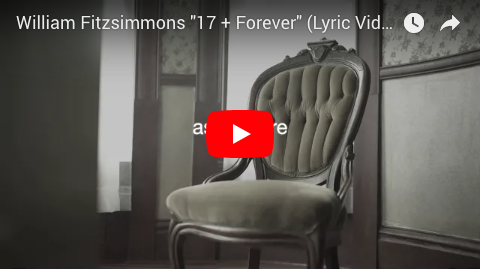 In the song “17 + Forever”, William Fitzsimmons tackles the dark side of being young in the age of online bullying. If you haven’t yet, catch him at one of his shows along the 2019 Mission Bell North American Tour now! In the meantime, enjoy the captivating lyric video for “17 + Forever” off William’s latest album “Mission Bell” HERE.